As you begin the final segment of your epic cross-Canada trek, your pants may be fitting a little tighter thanks to all of the poutine, butter tarts, and lumberjack breakfasts with extra back bacon you’ve been “sampling” along the way. With the Maritime provinces, and Newfoundland and Labrador on your upcoming itinerary, you’ll be able to inject some lighter fare into your menu like lobster with drawn butter, lobster bisque, and lobster roll sandwiches (Don’t worry, there will still be tons of Tim Hortons along the way in case you need to grab a salad and a diet soda). 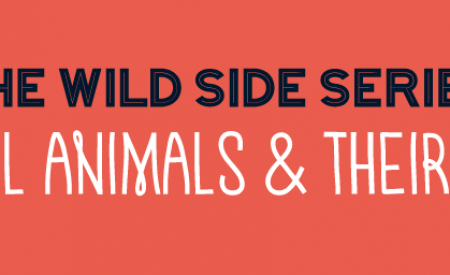 In between meals, you’ll find some natural wonders, roadside attractions, and general oddities along the way! Your Maritimes-NL road trip kicks off in Fredericton, a quiet little town on the St. John River. Don’t let its small stature fool you, this hamlet is huge on locally-sourced food, outdoor activities, and—as one might expect from a provincial capital—Canadian democracy. The Fredericton Boyce Farmers Market offers travellers and locals, alike, the opportunity to partake in some of the Capital Region’s harvest. Be sure to try the fiddleheads and grab some blueberries to snack on in the car. After you’ve had your fill of local confections, head over to the Lighthouse on Green for a stroll along the Riverfront Trail. You can walk off some of your breakfast before your next stop. While you are out and about, be sure to stop by the Legislative Assembly Building for a tour. If you’re lucky, the Legislature may be in session and you can witness how the government operates behind closed doors. Once the gavel is sounded, you’re off to your next stop downriver. 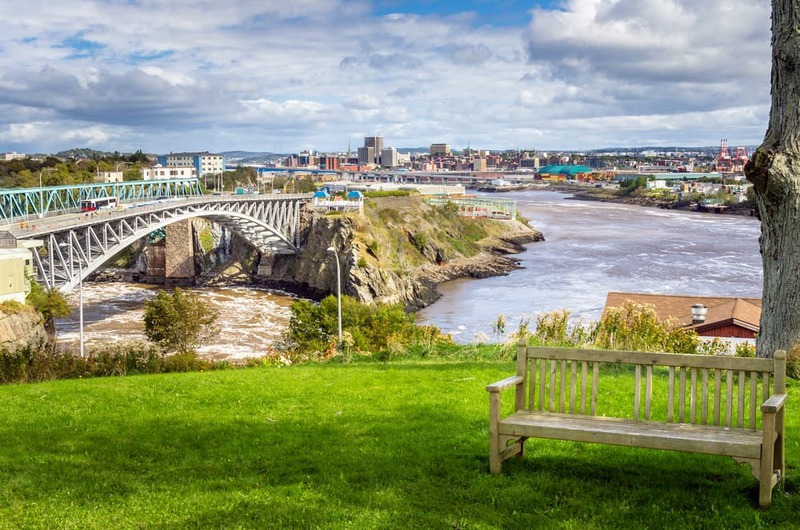 South of the Capital Region where the Saint John River empties into the Saint John Harbour is the aptly named Saint John, New Brunswick. Your stop in this thriving port town will be filled with a revitalizing walk in a bayside reserve, bargaining with local merchants, learning about provincial history, and feasting on regional fare while enjoying a pint of a Maritime brew. 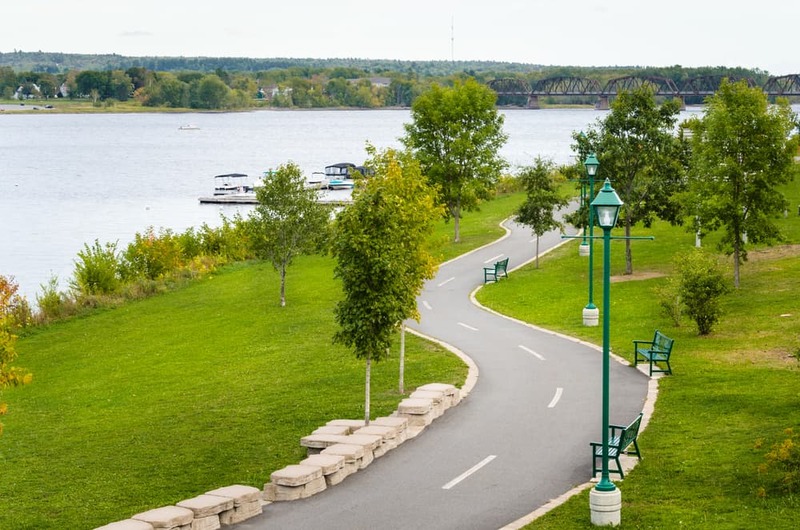 Located just a few minutes from downtown Saint John, the Irving Nature Park aims to showcase and protect six different diverse eco-systems with interactive educational programs, protected walking trails, and an observation deck. After you’ve barked at a few seals, head to the Saint John City Market and engage in a little banter with the farmers, artists, and other craftsmen peddling their wares. A few blocks toward the harbour, you’ll find the New Brunswick Museum, home to provincial, national, and international works of art, as well as natural artifacts and industrial history exhibits. Top your day off with a stop at the Saint John Ale House for an amazing farm-to-table experience before hopping back into the road-trip-machine to continue your journey. The next leg of your journey takes you around the Bay of Fundy. 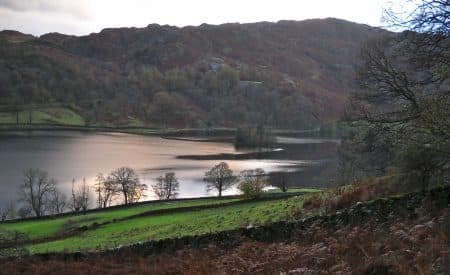 You may not have heard of the name, but you’ve probably seen photographs of nature’s extremes on display in this 270km-long body of water. When you arrive in Wolfville after having been in the car for a little over 4 hours, you’ll probably want a bite to eat—assuming you didn’t pick up a sandwich from a gas station vending machine as road-trippers have been prone to do. Instead of shoveling processed fast-food into your belly, why not enjoy a fresh meal at the Wolfville Farmers’ Market where local growers, artists, chefs, and bakers offer the fruits of their labors. Once you’ve filled up on freshness, make your way to the Waterfront Park where the Bay of Fundy puts on one of nature’s most extreme transformations—twice a day. From the world’s smallest harbour, you’ll have a front row seat to witness the most extreme tide changes on the planet. Equal to the flow of all of the world’s rivers combined, the water level in the Bay of Fundy fluctuates up to 16 metres between high and low tides. Talk about extremes! Snap a selfie from the sand at low tide and get ready to hit the road. As you head back up around the bay, there is a little corner of paradise that begs to be explored. 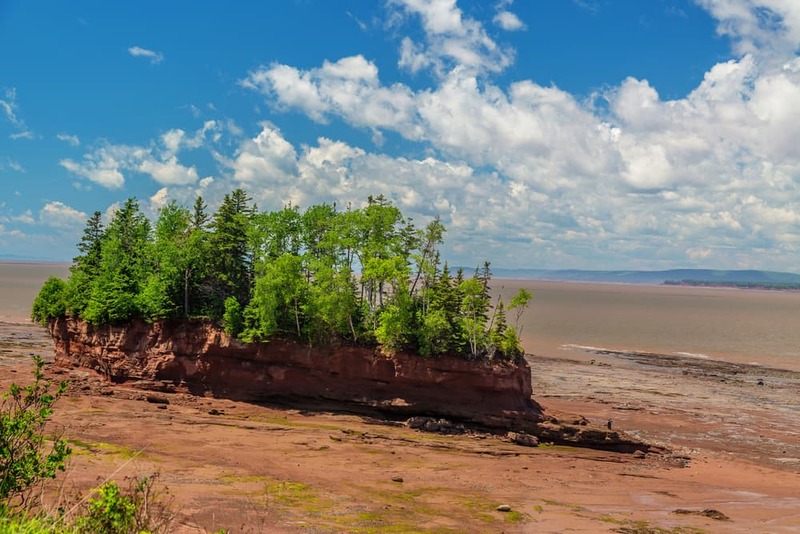 Burntcoat Head Park—also a part of the Bay of Fundy’s tidal oddity—provides visitors the opportunity to explore the ocean floor for a few inviting hours while the waters are at their lowest. Looking at the changing tides from Wolfville is awesome in the literal sense of the word. And, standing on solid ground that was 16m underwater just a few hours ago—and will be so again very shortly—certainly puts a new perspective on the magnitude of the tides’ extremes. You’ve been eating at farmer’s markets for the past few meals. It’s time to take advantage of Nova Scotia’s proximity to the sea. As you continue along the Bay of Fundy from Burncoat Head, you’ll come to Truro, a small community at the end of the bay—and at the heart of the province. 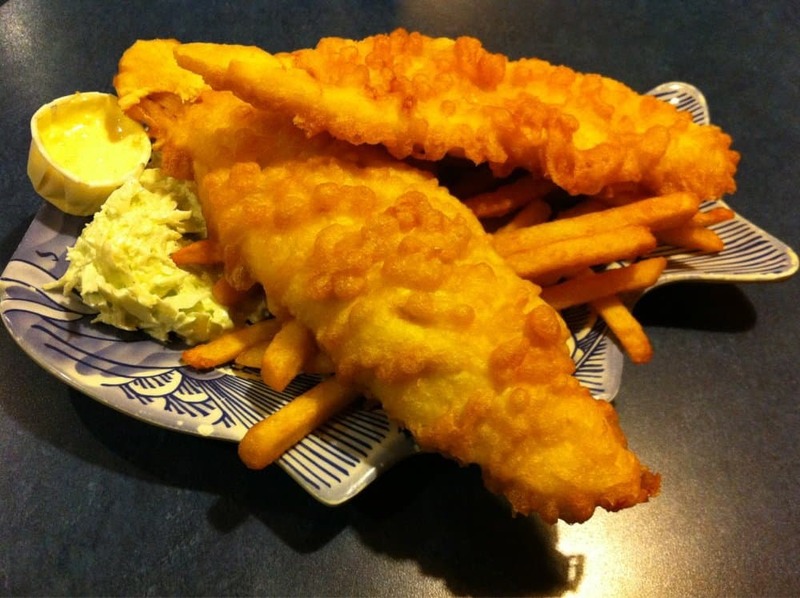 Stop into Murphy’s Fish & Chips for Canada’s best crispy, flaky, fried cod and potatoes. Is your mouth watering, yet? Your next stop is a short ride due south. You’ll be spending the night on the Atlantic at a hotel in Halifax. As you wake up to the sounds of seabirds, enjoy a cup of coffee at an Oceanside café before bidding the Atlantic a temporary adieu. Today, your road trip takes you back into New Brunswick to Moncton. Along the way, you may pass through Truro again. So, it wouldn’t be the worst thing in the world if you stopped at Murphy’s for lunch. In fact, do that; the fish and chips are just that good. There are two ways to get to Moncton from Truro. 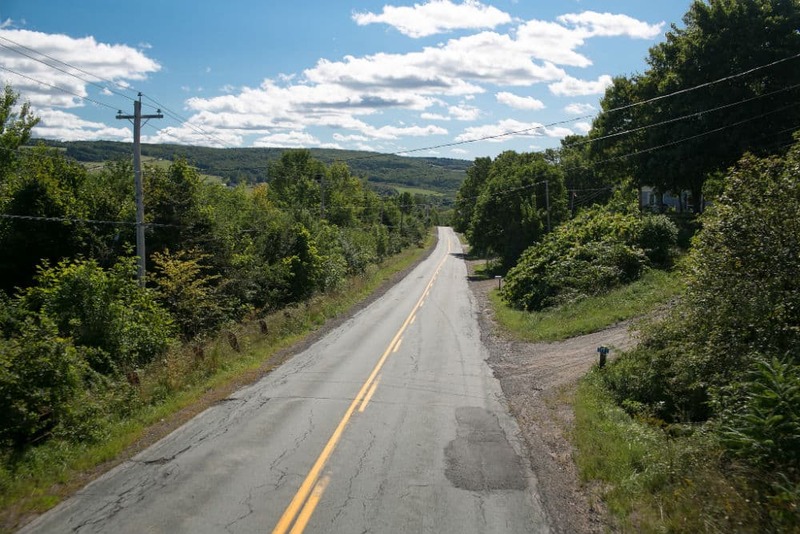 You can opt for the direct route with a short drive, or, you can adjust your timetable and take the scenic route with a loop around the Cabot trail that circles Cape Breton Island. Your inner-photographer will thank you for it. Once you reach your hotel in Moncton, you might want to call it a day. If you have enough juice left in your batteries, though (or if you took the direct route and it’s still early in the day), you should stop in the little village of Shediac, just outside of town on the Northumberland Straight. Here, you’ll have a chance to see another one of Canada’s contributions to extremes: the world’s largest lobster. 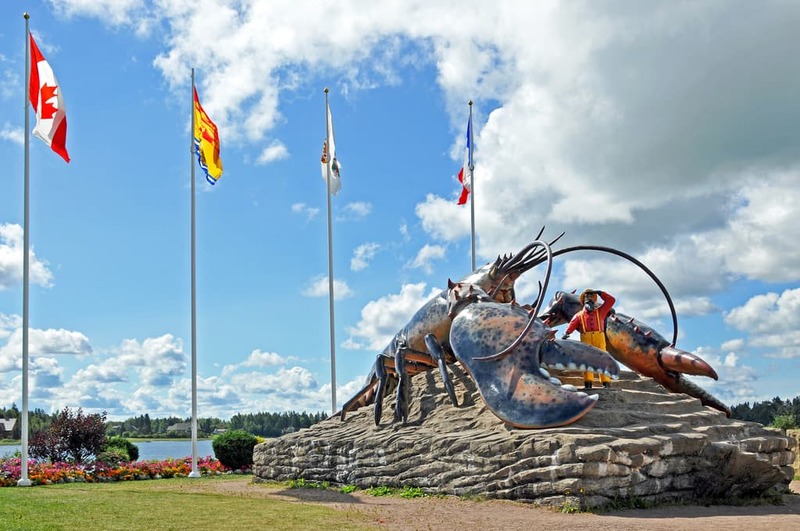 Homer Simpson may have had Pinchy, but Shediac boasts a 90 tonne sculpture as a proud tribute to the town’s position as the lobster capital of the world. You probably want to find a local harbour-side seafood shack and order your dinner right about now. In just under two hours, you’ll be at your next stop—Cavendish on Prince Edward Island’s north shore on the Gulf of St. Lawrence. You won’t see many people; there aren’t even 300 citizens in the small seaside burg. What you will see are picturesque rolling hills, rugged shoreline, and a manicured golf course or two. The idyllic scenery isn’t what brings people to this beach town, though. 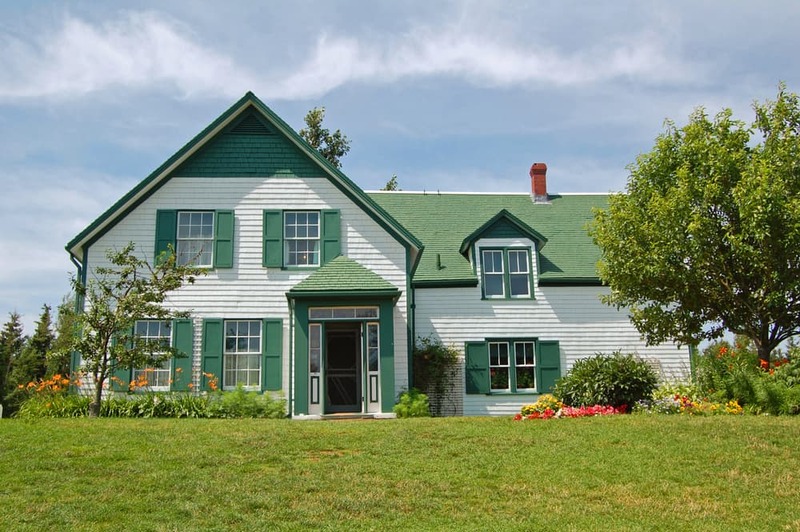 The famous Green Gables farmhouse that inspired L. M. Montgomery to pen the first of her books chronicling the life of Anne Shirley is Cavendish’s main draw. Turn off the Bluetooth phone, satellite radio, and keyless-entry roadster and travel to a simpler time when life moved at a slower, more relaxed pace. If you took the short route from Halifax to Moncton and didn’t get a chance to see Cape Breton Island, now is your chance. Your ride from PE to Sydney will take you back over the Northumberland Straight and out to the shores of the North Atlantic—and, you can take the Cabot Trail, too. With waterside promenades, amazing seafood restaurants, and a host of well-kept parks, Sydney is much like many other Canadian coastal towns…except for one thing. On a road trip full of extremes, what’s one more? You’ve seen the world’s largest tide change, smallest harbour, and most massive lobster. 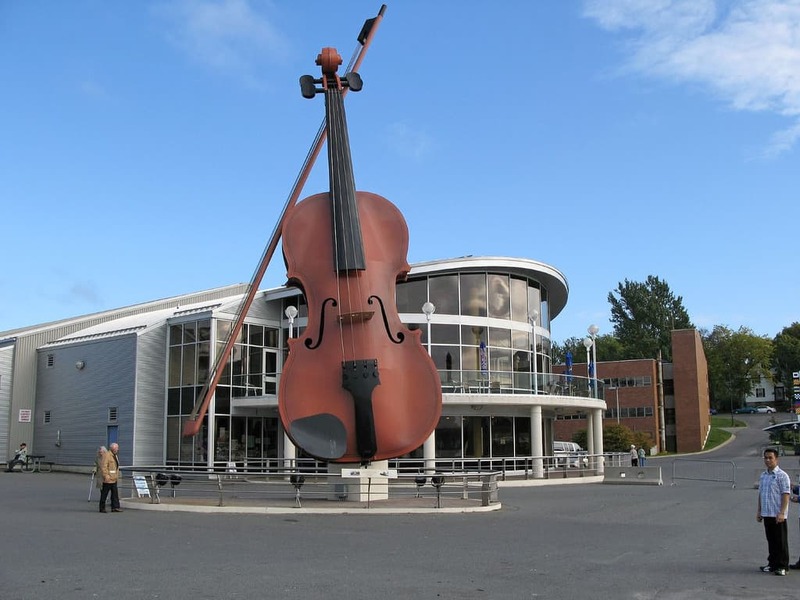 Sydney gives you the chance to check off a no-doubter bucket-list item with the world’s largest fiddle at the Joan Harriss Cruise Pavilion. A step ladder won’t do if you want to pull the bow across the massive stings; you’ll need a crane, instead. The last leg of your road trip through the Maritimes is going to be your longest. But, then again, much of it will be spent on the ferry between Sydney and the southwestern shores of Newfoundland. From there, you’ll head to the island’s northern-most point, the small whaling town of St. Anthony. But, you didn’t drive all the way up here to look at some whales; you probably spotted some while you were on the ferry, anyway. 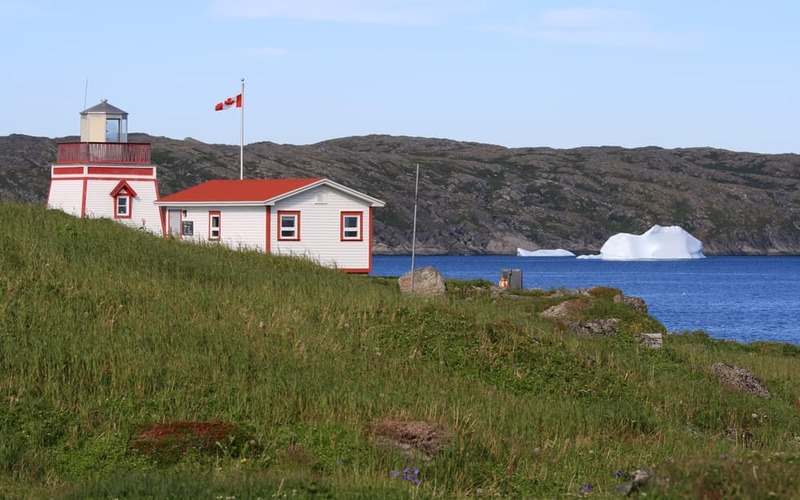 St. Anthony is the iceberg capital of the world and you are here for one reason—an unobstructed view of Iceberg Alley. You could watch the melting monoliths float by from a dock-side perch or get a little closer with a boat tour. Then, again, you can get up close and personal—if you dare—and paddle a kayak out into St. Anthony Bight for a view you won’t soon forget. Sad as it is to say, you’ve reached the end of your Canadian road trip. Perhaps you’ve been driving (and ferrying) around the Maritime provinces for the past few days or maybe you started your epic journey at Mile 0 in British Columbia weeks ago. Either way, you are richer for the experience and now have a bank of memories that won’t soon fade. It almost makes you want to turn around and take the same route home so you can relive the whole thing.